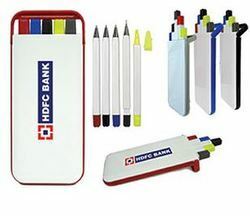 With vast industrial experience, we are involved in offering a wide range of Stationery Set. Complete stationary set for table with writing pad, sticky memo pad and memo strips. Big stationery set in very good quality. Comes in different colors.